Personalization is becoming increasingly more prevalent in todays world. Whether it's your recommended shopping items on Amazon or your viewing recommendations on Netflix, companies are able to use the data they collect on you to tailor their offer. 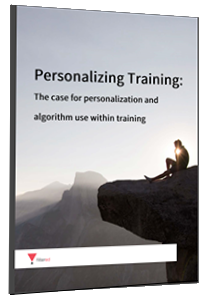 In this whitepaper Dr. Chris Littlewood, Head of Science at Filtered, explains the benefits of personalized training and introduces a few principles for algorithm development – some of which are particularly relevant to training. Fill out the form to download a copy of this practical and informative whitepaper.